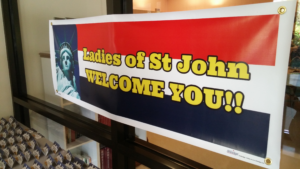 The Ladies of St. John (LSJ) actively contributes to the life and work of the Parish and mission of our Church, which is to share our blessings and to show concern for one another. The Ladies of St. John serve our youth and our community by providing scholarships to high school students and supporting local nonprofits throughout the year through toy, food and clothing drives. All ladies of our parish and community are welcome! When and where we meet: We hold monthly meetings from September to May on the third Monday of each month at 7:00pm (unless otherwise noted) in the Parish Hall. Annual Dues of $20 are payable in September. 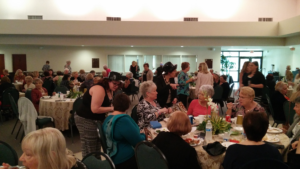 Be sure to also take a look at the Ladies’ photo gallery to see photos from our past events.